Westin Automotive - Westin™ 4" Oval Tube Nerf Bars are available in universal lengths (53", 61.5", 72", 75", 85", 91"), that feature a cradle mounting technique and utilize a vehicle specific mounting kit. 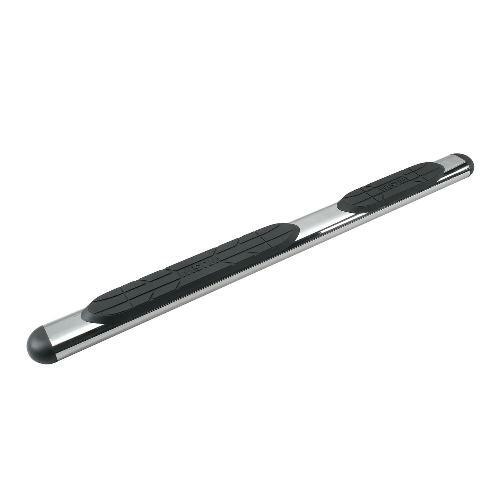 Oval Tube Nerf Bars are straight step style designs made of tube that is 4" at it's widest dimension. The molded saddle mounted step pads are UV resistant and feature the Westin™ brand name.